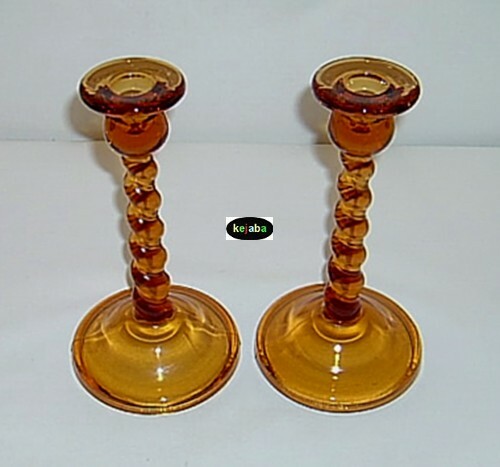 A pair of elegant Depression Era amber color glass candlesticks in the Twist Stem pattern. 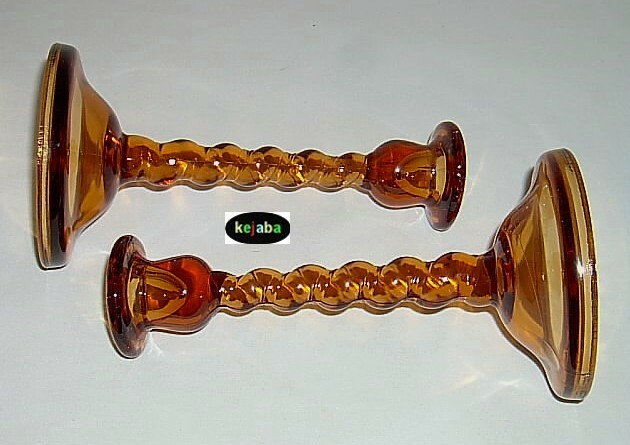 These were made by the Cambridge Glass Company in the mid 1920s time frame. 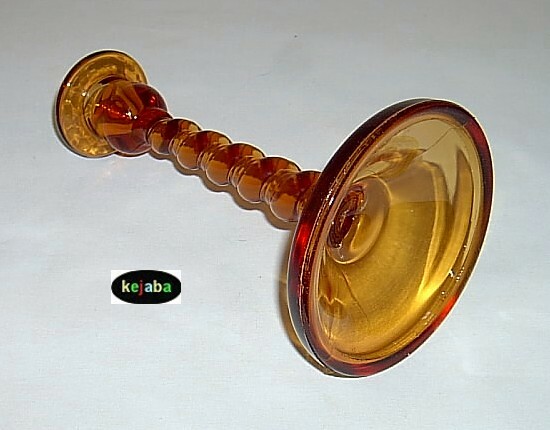 They measures approximately 8 3/8 inches tall and 4 1/2 inches in diameter at the base. 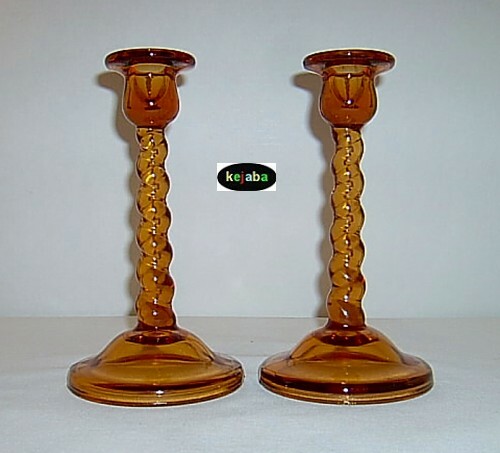 These are the Cambridge Twist candlesticks made from a 2 part mold and not the Tiffin Twist candlesticks which look similar but were made from a 3 part mold. Both have no chips or cracks and show very little if any signs of scrtatching.